Kylie Jenner has been a mother for only one week but she’s already having baby daddy drama. According to Radar online, Kylie’s ex Tyga is demanding a paternity test because he believes Stormi might be his child, not Travis’. “Tyga wants a DNA test because he really thinks that there is a chance this baby could be his,” the source reveals. 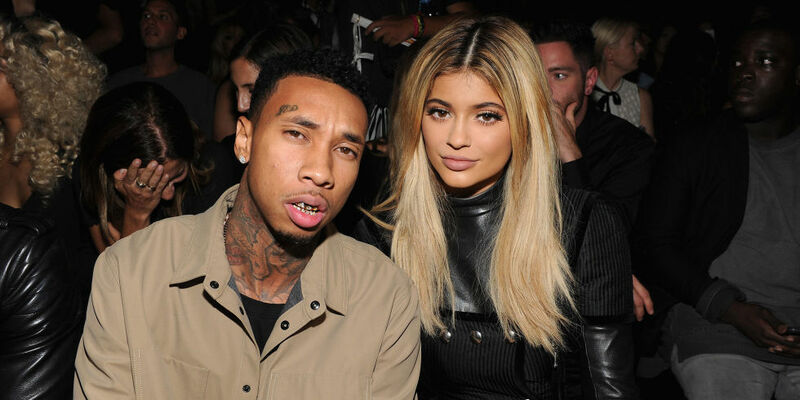 The source claims that Kylie and Tyga were still intimate nine months before Stormi was born, even though they broke things off in April 2017. “Tyga told friends that he was still sexually active with Kylie nine months ago, when this baby was likely conceived,” the source added. On Monday, a source told Hollywood Life that Tyga wants to meet baby Stormi.